The Cat in the Hat (Long Beach Rotary President Brian Russell) and fellow Rotarians visited preschoolers during a recent Read-In at LBUSD's North Child Development Center. Each child selected a new book to keep, courtesy of the service club. Rotary has raised more than $470,000 for literacy programs over the past 16 years. 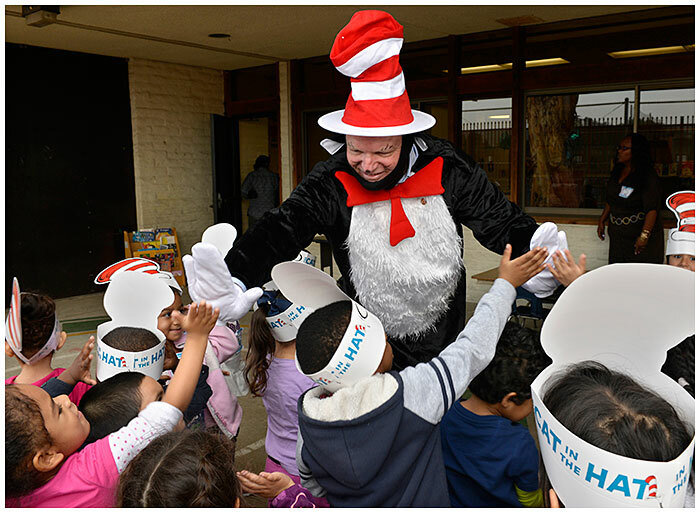 COOL CAT – The Cat in the Hat (Long Beach Rotary President Brian Russell) is treated like a celebrity by local preschoolers.